Last summer, Kathleen and I used to have picnics at the Old Zoo in Griffith Park. 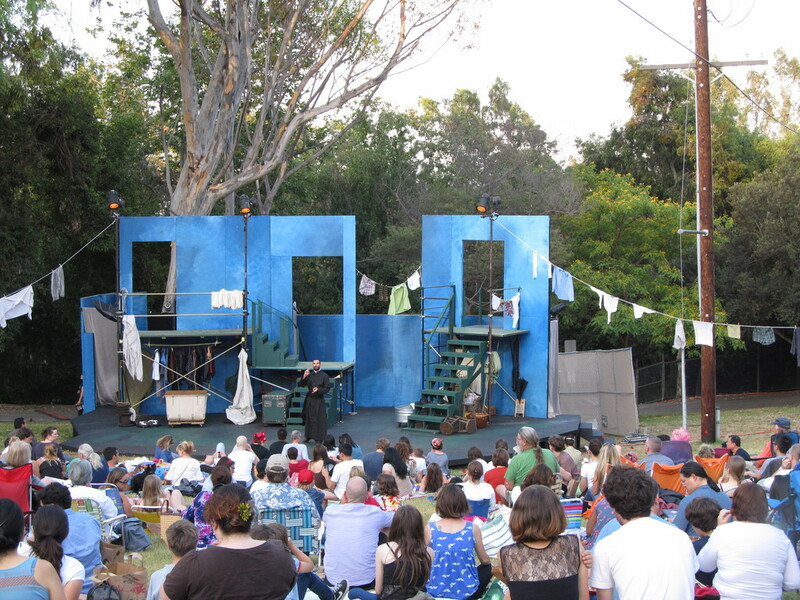 And while we were there, we saw the Independent Shakespeare Company doing their summer show in the park. We were having a picnic there last week, and we saw the rehearsals, so tonight we decided to go back and have another picnic and see the show. 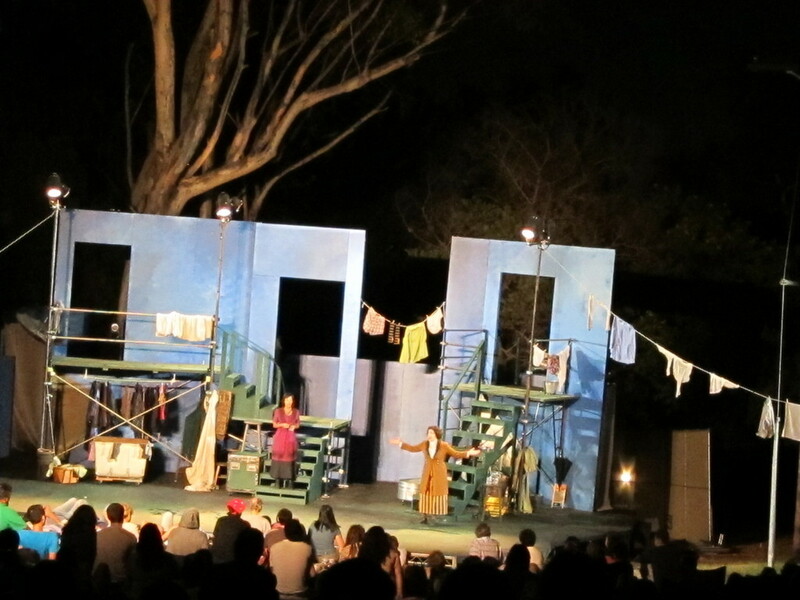 The show was a reinterpretation of “The Merry Wives of Windsor“, set in 1920s London. The show got a good review in the L.A. Times. Neither of us is especially familiar with Shakespeare’s plays, but we looked up some information about it beforehand, and Kathleen brought up a synopsis of it on her iPhone, so we were able to refer to that at times when it wasn’t clear what was happening. All in all, it was a very fun evening.